A term that is being mentioned quite often as of late, especially in corporate e-learning environments, is micro-learning. This teaching approach can provide a wide range of benefits to students/employees, as well as employers/instructors. This is primarily due to the fact that it can provide the knowledge and skill sets that online education typically offers without overwhelming the learner. It is quickly becoming one of the most popular emerging e-learning trends. 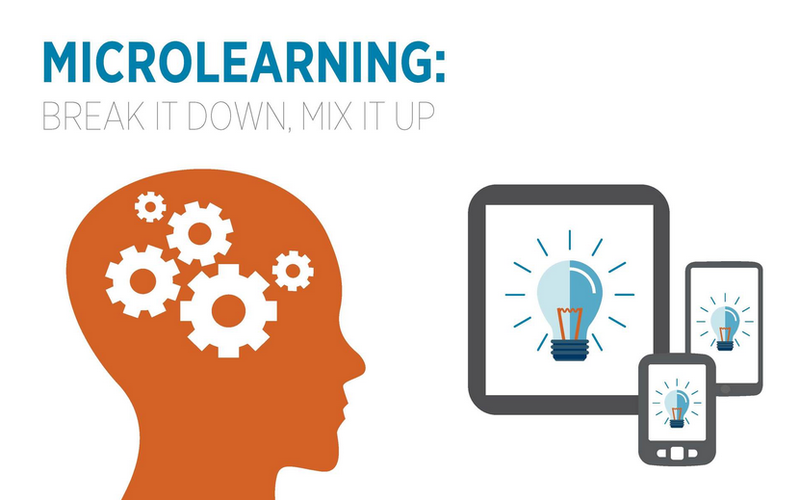 Micro-learning involves learning in smaller steps and goes hand-in-hand with traditional e-learning. Activities that are micro-learning based usually feature short-term lessons, projects, or coursework that is designed to provide the student with bits of information. For example, rather than trying to teach a student about a broad subject all at once, aspects of the topic will be broken down into smaller lesson plans or projects. Typically, micro-learning exercises are best utilized at the point where a student will actually need the information, or when they are going to be most receptive to receiving that information. For instance, watching a video online about how to replace a cars air filter or reading a blog post that talks about gardening indoors are perfect examples of real-life micro-learning exercises. Micro-learning gives students and employees the ability to gather information in bite-sized forms, which can help them to absorb it much more effectively. It is an ideal solution for those who may not have the time to devote to a lengthy course, given that you can learn at your own pace and avoid the risk of becoming overwhelmed by too much data at once.